“I think it can control everything. I gave an example earlier, [that] when you get pulled over, you just stick out your hand and he'll [a police officer, asking for license and registration, for example] scan your hand. You don't have to carry anything,” software engineer Sam Bangston told Ruptly. 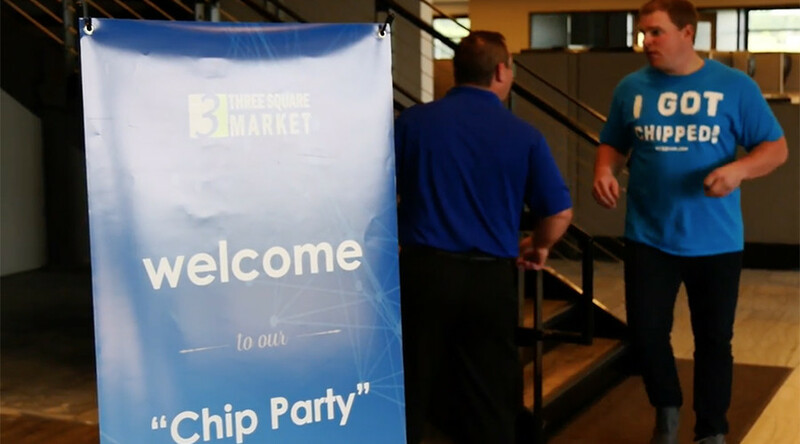 “Obviously this drew a lot of attention and a lot of feedback of ‘Oh, they're going to be tracking you down the road.’ They can't, there is no GPS added in this and there can't be in this particular chip,” Melissa Timmons from the sales department added. 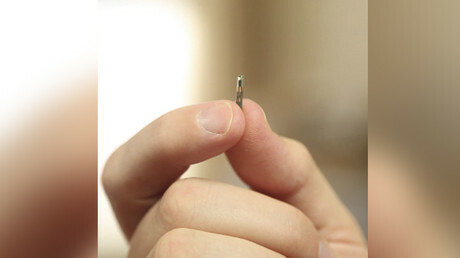 “Like we had heard it’s about two seconds from the time the needle goes in to the time the needle is removed and the chip's in there,” Dannon later told Ruptly. He, like the majority of the employees at the ‘party’, was wearing a T-shirt with a symbolic slogan ‘I got chipped’. “There are governments that run central banks they were one of the first ones to call us to say we've got to control our employees and we need to have certain access levels and we can't have that compromise, and they saw that as a solution,” he said.